FTC disclosure: I received an ARC of this book from the author for review consideration. Today I can finally share a book I have been excited about for months. I had the pleasure of working with Tochi Onyebuchi on the Morningside Muckraker, and he graced this blog with a guest post this time last year. 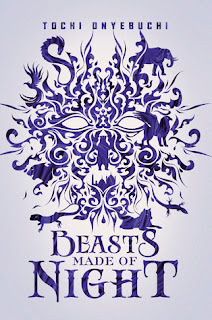 Back in the spring, he sent me an ARC of his debut YA novel, "Beasts Made of Night." When I was working nonstop and traveling across the country, this was the book that kept me company. It was the only novel that held my attention and gave me a few minutes of escape from pressing work demands. I'm thrilled everyone can finally discover the beautifully rendered world of Kos. Taj is the most talented of the sin eaters, individuals with the rare ability to take on the sins of others. By conquering the shadowy manifestations of others' sins and assuming the accompanying guilt, the original sinner can live without the sin on their conscious. The wealthy of Kos hire these sin eaters while society as a whole reviles them.When Taj is called to the palace to eat hte sins of royalty, he finds himself embroiled in a vast conspiracy that threatens his family & the city he serves. In the sin eaters, Onyebuchi has created a necessary but scorned subclass of children. They are torn from their impoverished families to serve an upper class that can't be bothered with their basic needs or even their very humanity. These children band together to care for and teach one another, creating a new family about whom Taj cannot help but care deeply. Beyond this family, Taj builds relationships with a variety of strong female secondary characters. A princess, a scholar, an outlaw, and an expert vie for Taj's attention, offering clues to & opinions on the conspiracy underlying Kos's existence. This is a novel of inequality and oppression, of hope and empowerment, set in a lushly imagined, Nigerian-inspired world. It is a tale of casting off society's assigned roles and reclaiming one's identity. Simply put, I loved this novel & think you will, too. Verdict: Affirmed. YA fantasy fans & readers looking for diverse reads and/or fresh, inventive plots, this is a must-read novel from a powerful voice. 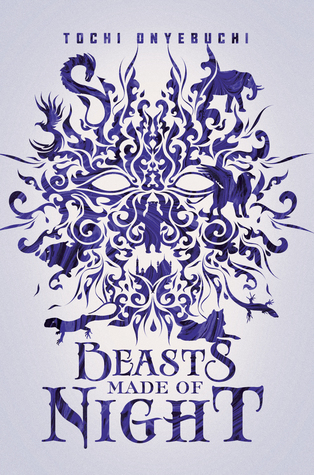 "Beasts Made of Night" by Tochi Onyebuchi, published October 31, 2017 by Razorbill. FTC Disclosure: I received an eARC from the publisher through NetGalley in exchange for my honest review. I checked out the audiobook from my library through Overdrive. Fredrik Backman's signature blend of humor, charm, and heartfelt portrayals of close, life-shaping relationships is right up my alley. His novella brought me to tears, and his novels have warmed my heart. His most recent novel, "Beartown," has a different tone, but was deeply affecting nonetheless. In "Beartown," we meet a small town whose very heart is its hockey team. Indeed, at this point, the town doens't have much else going for it, with jobs dwindling and people moving away. Backman presents a large cast of characters, all of whom are connected to the town's junior hockey team: players, classmates, coaches, parents, ardent fans. The team is headed to the national championship playoffs when its star player is pulled due to a horrific act he commits at a victory party. The town is rocked by the allegations and Backman has characters on all sides. He portrays these characters with empathy without excusing the reprehensible acts of some. Right and wrong are clear, as are the paths that lead characters to their decisions and actions. Readers feel deeply for them, and never more so than when two sides of the same relationship are shown. This novel lacks Backman's humor that lightened the heavy subject matter n ""My Grandmother Asked Me to Tell You She's Sorry" and "Britt-Marie Was Here" (thugh readers of the latter will recognize a tiny bit of overlap). This more somber tone fits "Beartown"'s serious central themes, and the novel does not suffer for it. Rather, it rises to the occaision, having a deeper impact on the reader for its sincere, serious portrayal of this town and its community members at a time of crisis. Verdict: Affirmed. 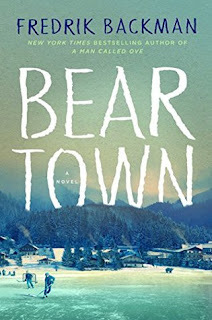 For both fans of Backman and those who couldn't connect with the humor in his previous novels, "Beartown" is an excellent novel. "Beartown" by Fredrik Backman, translated by Neil Smith, published by Simon & Schuster on April 25, 2017. Audio narration by Marin Ireland, published by Simon & Schuster Audio on April 25, 2017. A few months ago, it had been weeks since I've finished a book. It was probably the longest I've ever gone without finishing a book; it's certainly the longest I remember. Yet on my most recent work trip, I found myself with an hour left of my flight and no more work to do. Luckily, I had downloaded "And Every Morning the Road Home Gets Longer" by Frederick Backman on audio from my library before my trip. Knowing that I'm a fan of Backman, his publisher had originally sent me an e-ARC of this novella prior to its publication. Unfortunately, I wasn't up for a contemplative work at the time, and failed to make time for it in time for a publication day review. But it turned out to be the perfect reading experience for my unexpected hour of free time. This is a novella "about missing someone who is still here," to quote Backman himself. 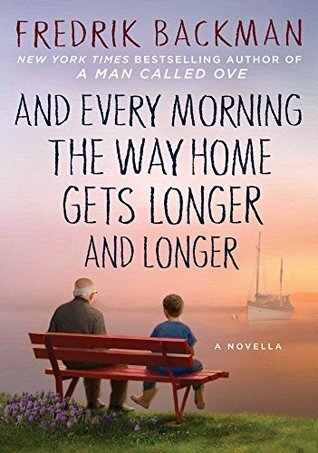 It's about the relationships between grandfathers and grandsons, and fathers and sons, and how these relationships are remembered at the end of a life. Backman opens with an introduction explaining that this is a personal piece of writing through which he worked out his own feelings as he wrote. Yet this portrayal of Alzheimer's will ring true to those who have been through this experience with a loved one. This charming novella feels different from Backman's other works. It lacks the quirky humor of his novels but retains the ability to pull on your heart strings. I found myself crying as the plane entered its initial descent to our final destination. It's charming and heartfelt, and a worthwhile read. Verdict: Affirmed, whether you're a fan of Backman or not, this is an endearing departure from his novels. 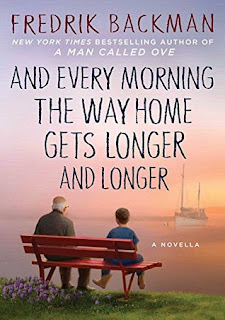 "And Every Morning the Road Home Gets Longer and Longer" by Fredrik Backman, published November 1, 2016 by Atria Books. Audio narration by David Morse, published November 1, 2016 by Simon & Schuster Audio. Fellow readers, I am sorry that "next week" turned into many, many weeks. I did read "The Address," but was traveling and then moving and then starting a new job, and blogging clearly fell to the wayside. But things have settled down and I can collect my thoughts. Last time I blogged, I wrote about how much I enjoyed Fiona Davis's "The Dollhouse." 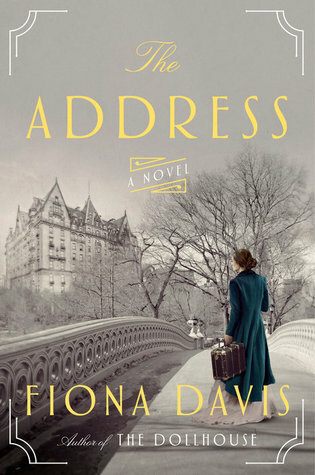 While "The Address" doesn't quite live up to the promise of "The Dollhouse," I still found it an enjoyable read while traveling. In the 1980's, Bailey just got out of rehab and is hoping to relaunch her interior design career by redecorating her cousin's apartment in The Dakota. In the 1880's, Sara has moved from Britain to New York City to work in the newly built Dakota, where she has to navigate her relationship with her boss and the building's wealthy, demanding residents. Their stories intertwine across history, mysteries ensue. As I noted on Goodreads, some of the side characters lacked depth and felt like plot devices. The story also took a few weird turns. I didn't think there was enough groundwork laid for some of the twists. Nevertheless, I found both Bailey and Sara to be intriguing protagonists, even if the ultimate answer to the mystery was fairly apparent from the start. Verdict: Jury's Out. If you like historical fiction, specifically mysteries bouncing between time periods, this novel will scratch that itch. If you need some more depth to your characters and plot, though, look elsewhere. "The Address" by Fiona Davis, published August 1, 2017 by Dutton Books.